Prefer your drinks to be organic? We’ve got more options for you than ever at New Castle Liquors. Here’s a look at the companies that produce our organic offerings. Look for this symbol on our shelves! Organic fruit from Mendocino offers the characteristic flavors of green apples, pears and citrus to the Bonterra Chardonnay. They ferment 70% of the juice in a combination of French and American oak, which produces a rich wine with just a touch of new oak spice. The remaining 30% is fermented in stainless steel to preserve the crisp fresh fruit favors. The Bonterra Cabernet offers aromas of bright cherry, currant and raspberry with notes of toasted oak and vanilla. In the glass, you will find flavors of cherry and currant and a lingering and thoughtful finish. Good structure, a moderate weight, polished tannins and balanced acidity. CapRock Gin and Vodka are hand-crafted at Jack Rabbit Hill Farm, located in western Colorado’s North Fork Valley. Each product is made with super tasty, certified organic fruit grown at Jack Rabbit Hill, Gunnison River Farms or Ela Family Farms, and cut back with naturally pure, soft water from the CapRock formation at 10,500’ on Grand Mesa, 20 miles from Peak Spirits Farm Distillery. CapRock Vodka has a rich mouthfeel and clean finish. It’s a straight vodka made with Demeter-certified biodynamic chambourcin grapes grown at Jack Rabbit Hill Farm and Gunnison River Farms, six miles down the road on the Gunnison River. The whole grapes are fermented spontaneously (no yeast added) and distilled twice and redistilled with certified organic Romanian winter wheat distillate. The grapes are fermented and distilled whole, including skins and seeds, contributing soft fruit tannins to the texture. CapRock Colorado Gin is a blend of 12 different fruits, flowers, seeds, and spices infused in a base spirit made with certified organic Jonathan apples grown 5 miles down the road at Ela Family Farms and certified organic Romanian winter wheat distillate. Whole fresh and dried botanicals (never extracts or concentrates) are distilled all together in the final run, using the London method, slowly and under low steam pressure, to produce layers of clean, fresh aromas and flavors. Crop Artisanal Vodka is made from American-certified organic grain that’s grown in fertile, healthy soil free of artificial fertilizers, pesticides and chemicals. Each batch of Crop is distilled only the exact number of times necessary to remove specific impurities and their unwanted flavors from that particular batch. Crop is distilled so efficiently that no carbon treatment or charcoal filtering is required. Crop Artisanal Vodka has a refreshingly crisp, clean, pure taste. Red Truck Wines’ newest brand extension is an organic, vegan-friendly model named Green Truck from Mendocino and Lake County, California. 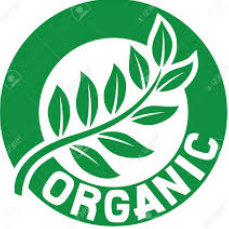 Organic farming requires a commitment to a method of farming that eliminates the use of chemical fertilizers and toxic insecticides in favor of natural practices that protect the health of farm workers, create a thriving wildlife habitat, and result in clean run-off and healthier soils. It’s certified by the California Certified Organic Farmers. The grapes for the Green Truck Mendocino County Sauvignon Blanc are organically grown and farmed on Mendocino and Lake County vineyards by the Bartolucci Family and others devoted to organic farming. The Cabernet Sauvignon grapes are organically grown and farmed in Mendocino County vineyards by the Barra family, who’ve been devoted to organic farming long before it was fashionable. The grapes for their Chardonnay are organically grown and farmed in Coastal Northern California vineyards by some of the pioneers of organic farming. Established in 1982, Montinore Estate is a 210-acre Demeter Certified Biodynamic® and Stellar Certified Organic estate that lies at the northern end of the Willamette Valley in Oregon. Close attention to each step of the grape-growing and winemaking process is rooted in the belief that exceptional wine is born of a sustained marriage of soil, climate and artful stewardship. Biodynamic farming, controlled fruit yields, carefully fermented wine and estate bottling help this family-run winery offer full-flavored vintages of distinctive character and quality. The aroma of Borealis practically covers the full fruit spectrum with notes of peach, yellow apple, pineapple and with bright citrus popping out, accented with whiffs of lychee and fresh rose petals. On the palate it starts with a soft, slightly sweet expression of ripe peach and pear balanced with a citrus zing, which evolves to a delicious long, crisp finish of tropical and stone fruit. The Almost Dry Riesling offers a beautiful aroma of lime, fresh flowers and roasted pineapple with hints of pear. On the front of the palate, a spark of sweetness and an elegant, almost silky fresh entry is followed by flavors of citrus accented with green apple. The finish brings a refreshing, palate-cleansing acidity with accents of lingering grapefruit and mineral flavors. The grapes for Our Daily Wines are sourced from organic vineyards around California’s Central Valley, including the Lodi area. The Central Valley’s consistent dry climate, warm weather and well-drained soils are key factors in successful wine growing. The climate allows the fruit to ripen earlier, reducing the risk for weather-related issues such as mildew and mold. Our Daily Red is a lighter-style, fruit forward red blend with a hint of violets on the nose and loaded with black fruit on the palate. It’s USDA Organic, gluten-free and vegan-friendly with no detectable sulfites. The Bobal grapes for Tarantas Sparkling Rosé are organically grown in the hills just west of Spain’s Mediterranean coast near Valencia. 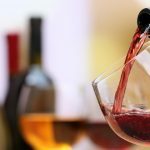 Some of the highest tested levels of the natural antioxidant Resveratrol can be found in monovarietal wines from southeast Spain’s Bobal grape. 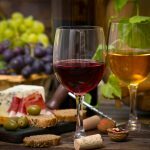 The wine is Non-GMO Project Certified, as well as vegan and gluten-free. According to Tastings.com, Steely pink color. Fruity aromas and flavors of baked cherries and strawberry and honeyed apples and melon with a supple, tangy, fruity light-to-medium body and a medium-long citrus, rhubarb, and wheatgrass finish with fine tannins. A tangy refreshing Rosé sparkler. Have a favorite that’s not our list? Let us know! We hope you’ll stop by and visit us soon. 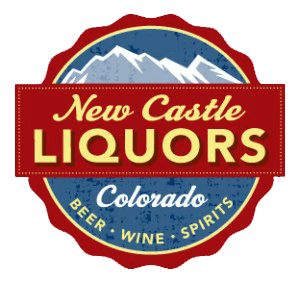 New Castle Liquors is located just off I-70 at exit 105 in the heart of the Colorado Western Slope. Follow us on Facebook!